Autel Evo Review: 85 out of 100 points. DJI Mavic Air: 80 out of 100 points. DJI Mavic Pro: 90 out of 100 points. DJI Mavic Pro 2: 98 out of 100 points. DJI Mavic Pro Platinum: 90 out of 100 points. 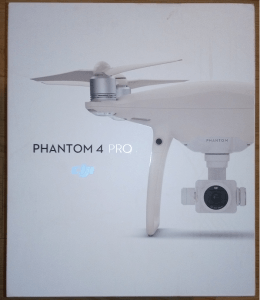 DJI Phantom 4 Pro: 95 out of 100 points. DJI Spark: 60 out of 100 points. Parrot ANAFI: 70 out of 100 points. Parrot Disco: 55 out of 100 points. GoPro Karma: 40 out of 100 points. 10 Tips For Safe Drone Flying. Increasing the range of flight. Landing/Taking Off Your Drone on a Boat. Taking a Drone on an Airplane. Helping you get into the exciting hobby that is droning! How to Control a Drone if it Goes Nuts. My Near Crash Story. Today I nearly lost my Spark drone. It went crazy after losing it’s GPS signal and thankfully, due to some quick thinking, I was able to land it safely. 1) Inexperience and piloting error (see more reasons). Even people like me who have been flying for a long time make mistakes and I really believe I made one here as I’ll explain what I think I did wrong. 2) The worse the quality of the drone, the more likely it is that something can go wrong and you can lose control of it. Better quality models typically have fail safe mechanisms to protect itself from issues. However, the better the quality of the model, the easier it is to control and whether you’re a beginner or not, you’ll find good, high quality models like the Mavic Pro 2 and Phantom 4 Pro are typically much easier to operate and carry less stress. In my case, the model I was operating was a DJI Spark, a medium level model. I visited a park today where I frequently fly. Before I launched my Spark, I need to mention that I hadn’t flown it in over a month and the only reason I took it out was to basically drain the batteries, as it’s important for the battery health. Updating the firmware so it’s able to perform better. Calibrating the IMU and compass to help it identify in which direction it’s flying and to provide accurate flight experiences. Calibrating the gimbal so it doesn’t screw up. It took off without any problems and I decided to keep it within my line of sight (a good safety move, as the closer the drone is to you, the easier it is to control because the distance between the remote and drone is stronger). Suddenly the Spark gave me an error, telling me the GPS signal was lost and it was now in atti mode, a mode which is dangerous to fly with. Then it went crazy, moving all across the sky at about 30 mph. I could still barely control it, but it was basically a combination of me trying to control it with it’s crazy atti mode fighting against one another. It flew out of my sight, then back into it, then back out again and the only reason I didn’t fully freak out was because it was very high up in the air, which meant there was nothing it could hit, so I had time to figure out what I could do. I hit the “return to home” button, but even with that, it was again a combination of the drone trying to fulfill this action while also going crazy, plus the return to home option was underneath trees, so it would most certainly hit them if I let it. I decided I needed to take a risk, and to try and control the Spark in anyway that I could, get it to my line of sight, and then land it in an open field. And so I did, it wasn’t a smooth landing, but as soon as the Spark was 50 feet away from me, the GPS signal returned and I had full control over it again. First, I suspected that I should have calibrated the IMU and compass, despite not getting a message to do it. So with the next battery I put in, that was the first thing I did. Even when a drone doesn’t say that you need to do this, do it anyway, especially after a close call, it’s basically going to help reset everything. Next, not too far from where I was flying, there was a radio tower. Now the problem with that is that a radio tower emits high frequencies that can interrupt the connection between the drone and my remote and I do recall that not too long ago, when I was flying in the same area with a different, more powerful model, the closer I got to that radio tower, the more my connection went crazy. Being that the Spark has a WiFi connection and it tends to be pretty weak, it probably would be much more sensitive to things like the radio tower being nearby. Connections on drones have a huge impact on how well you can control them and here are 3 of the most common connections and which ones are the most reliable. Next, I decided to play it safe and keep the drone very close to me from here on out, but I did also make sure to set a home point in an open field in case anything crazy would happen again, so at least this time, I’d have a plan B if I couldn’t control it. Should a situation like the one which occurred, occur again, at least it would have a chance to land in a safe spot without me having to worry about it hitting trees again. Thankfully the same problem I had didn’t repeat itself, and I was able to control the drone perfectly well. Again, I go back to the points I was making earlier about the model of the drone playing an important role in all of this. The Spark is good, but with a weak WiFi signal and a lack of updates, I was just playing with fire. Updating it, and keeping it close to me is the safest way to fly this model. If I had one of my other, more powerful connection drones, I could have gotten away with flying it far and having the signal go crazy. Either way, know that a higher end model will typically mean that it’s easier to fly and easier to control. I hope my near crash story was helpful to you guys! Hero 7 Black Review. Why I’m Done With GoPro. GoPro, it’s over, I can’t take anymore disappointments. I got the Hero 7 Black yesterday and today it’s going back. Read this review to see why this is happening. Now this is a drone site, and if you know about the Karma, made by GoPro, you will know that since the Hero 4 Black has been out, you could swap cameras on the Karma gimbal and use it on their drone. But I did try that drone out and I have had problem after problem with this company as a whole ever since I upgraded from the 4. I had to go through 3 different Hero 5’s to get one that actually works without issues. Got the Karma for a brief period of time, but had issues syncing all 4 components (camera, gimbal, control and drone) so I returned it and upgraded to a Mavic Pro 1 (that was a good choice!). Found that the 6th one shot images less sharper than the 5 (it shoots better videos though) and I have a comparison here on that, see for yourself. Plus when I first got it on day one when it was released, the area where the battery is inserted got stuck consistently. So I got rid of that one. With over 5 issues I had over the years with this company, when the Hero 7 Black came out, I said, nope, I’m not buying it, no way. I thought that there had to be a defect, there’s always something that goes on with these cameras. So I waited for many months, until I saw a $50 discount advertised on Instagram for it. I figured this discount must mean they are losing sales or the 8th version must be coming out soon, but by this point, my anger and frustrations over GoPro products subsided a bit so this was a good excuse to start anew with them. I elected to buy it from my nearest Best Buy, rather than the GoPro site because having a bad feeling something bad was going to happen (again), I figured it’d be easier to return it to Best Buy than go through GoPro customer support. So I went into Best Buy, pointed to the clerk that I wanted the Hero 7 Black and even asked them if they knew of any defects. They said no and that no one has even returned one yet. Wow, that’s a relief I thought, and so I got it. I came home, inserted the battery that came with the camera, turned it on and saw it was at 3%. No problem, it just needs to be charged, but I got a few minutes to check out the touch screen, the footage, the menu options and so on and I was impressed. The touch screen was very responsive and the navigation seemed easier than the previous models. I turned on the camera again, expecting to see it at 20-30% by this time (my experience with these cameras is that they charge slow, but then last for quite a few hours). What did I see? Oh, here we go again, I thought. It’s another defect and of course, it happened to me, again. So I tried another experiment. I did some YouTube browsing for this charging issue and saw I wasn’t the only one. In fact, the issues I mentioned above apparently hit quite a few people, and we’re not just talking about the Hero 7 Black, we’re talking about it and the other, previous models too. Anyway, the suggestion I saw was to switch batteries and luckily my Hero 5 Black uses the same battery, so I swapped it, and it was at 74%. I got to play around with the 7 a bit more and did enjoy the experience, but then I saw that the battery was draining pretty quickly, about 1% every minute or so. I figured this must have been because I was attempting to shoot at 4k @ 60 FPS, so I decided to turn it off, go to sleep and plug it into the charger. When I did that, it was at 72%. 8 hours later, I wake up, turn on the camera and…wouldn’t you guess it. It’s still at 72%. And before you say I didn’t charge it correctly, I clearly saw the red charging light on whenever I looked it. This was clearly a charging issue and it wasn’t due to the battery. I had 2 batteries to test this out and it seems pretty clear it’s the camera at this point. I had enough, I packed up the camera and now as I write this, it’s sitting in the same bag I got with the receipt, ready to be returned. Is there a difference? Yes. The 7 is a bit sharper and colder in color. I’d even say it’s slightly better but to justify another $300+ for essentially a similar image? No thanks. Indeed there is FAR more detail in it, it is truly sharper and definitely worth it IF you are actually going to use it for outdoor, action things. It also has better sound. But considering you are luckier than I am and can find a none lemon, like I’ve been consistently finding over my years with GoPro, go for it. For me, I’m still sticking to my 5 because the images aren’t that much better. For my cases, I’m just going to use my Osmo Pocket and that one is awesome. This consistent lemon issue across the cameras has to be fixed, enough of this nonsense. I’ve been trying to give this company shot after shot and I TRULY want to own one of their cameras and really enjoy using it, but more times than not, it’s been a disappointing experience for me. Drone Fell in The Water. Game Over or is There Hope? Although I’ve never had a situation where my drone fell in the water, I’ve come close to that happening and I’ve SEEN it happen. What do you do if this happens? Well that’s what we’re going to look at. If you go on YouTube, and look for videos of drones falling the water, let’s just say there’s plenty of cases where this happens and most of the time, these “crashes” happen for piloting mistakes. Never the less, I have seen recoveries happen post accident when it comes to this and there have been some cases where a drone was lost in the water for hours if not over a day and was able to make a full recovery and fly again. Any electronic device that is not waterproof is obviously going to suffer in some way if it falls into the water. In the case of drones, there is a near 0% chance of recovery IF it falls into SALT water. Remember that, salt is the enemy here and it will eat away at the wires and other sensitive parts of your bird. 1) Place the bird in a box and fill it up with rice. Rice happens to be one of the BEST absorbents of water and you don’t even need to open your bird up, the rice will take care of pretty much everything in that it will adsorb the moisture. I would leave your bird in rice for at least 24 hours before attempting to fly again. 2) Leave it in an area where the sun shines on it. This is a more rare circumstance in that it has less chances of working, but you’ll find a lot of people won’t be comfortable with placing their bird in rice, so in that case, there’s this option. You just literally leave it on a porch or in an area where the sun can shin on it for hours. The only problem here is that the light won’t be able to get into the deep areas of the bird and dry those up, which is why I suggest the rice option because it WILL absorb the moisture in the deep areas without you actually having to open up the bird. And in this case, it happened to a Mavic Pro 2 model. I happen to own both of these things (and the first Mavic) so I’m glad to see these situations resolve, it gives me some relief to know if it happened to me that there’s some way to fix it. But of course, not everyone has these models, but in either case, rice is GREAT for maximizing the odds of recovery, even if those odds are small. Other than these 2 tips, which are pretty much the only ones you have when it comes to this situation, the other thing to keep in mind is…have insurance. Places like State Farm and DJI offer their own drone insurance plans that can really give you a safe feeling when flying so if this particular situation happens or something else goes wrong, you’ve got another chance to fly again. They don’t set the home point near themselves. They fly in areas where there’s no GPS, so that triggers atti mode to hit, increasing the odds of accidents. They try to fly in open areas such as the beach (salt…) and risk flying way too far in water. I’ve seen even the most experienced pilots make this mistake. Lack of accidents happening, make a pilot cocky and willing to take more risks and that’s how it goes wrong eventually. They try to fly on a boar or land on it, and if it’s in the sea, guess what? Waves will crash and probably get your drone wet. Really the only time it’s not the pilot’s fault is if the model they are using is poor (that makes it tough to pilot or control) or there’s some technical bug that occurs during flight, which is rare for good models. Exercise basic safety tips when flying and just avoid the circumstances that have a high risk factor. Should the situation occur, use the rice option, it may be your only hope. If that doesn’t work, at least make sure you have some kind of insurance if your drone was an expensive one. These 3 things will hedge you against potential and post accidents that can occur. Overall, I get the appeal of filming in risky areas, I do it too and I’ve had A LOT of close calls, that’s how I learned about all of this, but others aren’t as lucky and sooner or later, it may happen to me. Either way, if you’re going to fly in a risky area, like over water, just make sure you’ve got you’re covered in some wy, whether it be with intelligent piloting skills, or insurance should things go bad. Does The GoPro Hero 7 Black Make The Karma Drone Worth it? Hero 7 Black is out and you should know that GoPro Karma drone has updated it’s firmware to use this camera, but does that still make it worth it? My immediate response is no, and it’s actually not because of the camera, it’s in fact because the Karma drone itself is still in my opinion a bad quality drone. 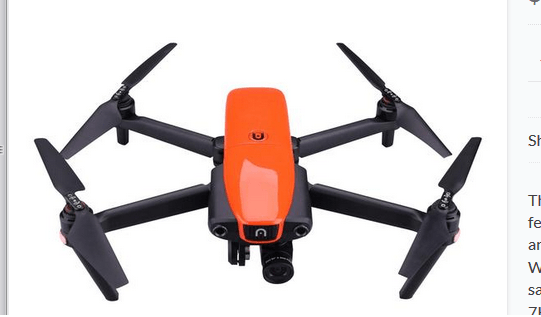 It still has no safety sensors, a short flight time, it’s super loud and overall, the drone itself is still too expensive (even if you get it with the new camera) to get. I don’t have a good history with this company (read the bottom of the article for details). After the Hero 4 Black, things kind of went south for me and MANY others. Numerous bugs, constant firmware updates, lemons (in my case), defects are one way to summarize that bad luck I’ve had with this company. So when the Hero 7 Black was released, I didn’t go out and buy it on day 1 as I did with the 5 and 6. Expecting things to go bad again, I decided to wait it out this time and see what would happen when initial YouTube reviewers I trust would tell me if it’s worth it. With regards to the Karma, it was my first ever drone, that I never was able to take off with because my Hero 5 Black at the time just wouldn’t update and this grounded my whole operation. Further research on the Karma itself proved that at least compared to other models at the time, it was NOT a good competitor for them for the reasons I stated above. And added to it, it hasn’t evolved since, while the other models on the market HAVE, so that gap widened even more since. Before I decided to stop buying any GoPro products, my last action camera I bought (and returned) from them, was the Hero 6 Black and after getting a defect there as well as seeing other people complain about the numerous software issues that at the time required constant updates (Most if not all of them have been fixed to be fair), I decided to stop buying products from this company entirely. Now the 7th version of this camera is out and at first, I was VERY reluctant to even give it a second look, so I waited to see what some unbiased YouTube reviewers would say and they are actually praising it, and it’s something I was surprised about. Could it be that finally, after so many attempts at making an actual good camera, that GoPro finally did it again? As of right now, the unbiased reviews are praising this new camera and saying it’s video functions, sound, and stabilization have made it jump ahead of any other action camera on the market today. This actually makes me happy, because I was hoping GoPro would get it together, but that still leaves the question of if such an awesome camera should be purchased alongside their Karma. And again, I am saying no. Despite the evolution of the camera itself (it’s basically a Hero 6 Black with better stabilization and less bugs), like I said earlier, there is 0 evolution when it comes to their drone. Why they haven’t released a new 2.0 model is beyond me. They have more than enough competitors such as DJI and their success to mimic off and with the name brand that is GoPro, any new model they would release would be an instant hit, considering it would actually evolve. Is it worth getting a model without any sensors, with a short flight time and one that’s so loud just because of this new camera? I say no. In fact, looking at the footage (like I said, it’s like a Hero 6 Black), I’m not that impressed by it. I still think new generation models like the Mavic Pro 2, the Cadillac that is Phantom 4 Pro, the Autel Evo and even older models like the original Mavic Pro are still as good if not better. In fact, I say the Phantom 4 Pro, The Mavic Pro 2 and the Autel Evo’s cameras are better than the Hero 7 Black and as far as model quality goes (not even considering the camera in all of this), they ALL blow the Karma out of the water, sorry. -The cameras are just as good if not better, at least on these particular models. 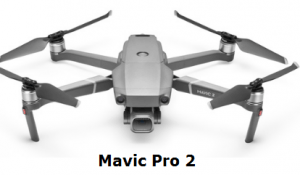 -The price is bigger for the Phantom 4 Pro and Mavic Pro 2, but the Autel Evo is close to the same ($999), still, the quality is well worth it, both in camera and the overall model. -These models are way safer to fly, they fly longer, are quieter (Well the Phantom 4 Pro is pretty much as loud, the other 2 models are much quieter) and they are more portable. On it’s own, the Hero 7 Black is awesome and worth buying, but to get it alongside the Karma is not really a deal I’d go for. While GoPro’s approach to changing cameras is AWESOME and something that other companies need to be doing with their drones, it doesn’t change that the model itself is not that good. As of now, the only drone with interchangeable cameras/lenses is the Inspire 1 & 2 from DJI. But let’s go back to the main points: No, I do not recommend getting a Karma, despite the great improvements with the new camera. GoPro needs to release a completely new (and better quality) model that at the very least mimics the top quality models in it’s market, if it stands to compete in the drone market at all. This new model (if it ever comes out), needs to be more portable, more stable, needs to have at least 2-3x more flight time, needs safety sensors, more intelligent flight modes, and that’s about all I can list for now. What do you think? Is my past with this company tainting my opinion of their drone? 5 Mavic Pro 2 And Zoom Accessories You Can’t Fly Without. For every drone I own, I write an article on at least 3-5 accessories you should get with the specific model. With the Mavic Pro 2 (Zoom as well), I have 3 recommendations. Now I don’t own the Zoom, but you might and since the body of that (and the flight specs) are literally the same thing, these accessories will serve you perfectly fine if you own that model of if you own the Mavic 2 Pro like I do. 1) Car charger for the battery. You own an expensive drone. You get no more than 2 batteries. And you get a car charger for the batteries. In my personal opinion, this beats having to get anymore batteries, because most people who drive to film can always charge one while the other is being used on the drone. You can literally save yourself a $100+ on every battery you’d have to buy as long as you own the car charger. Sure you can get 5 batteries and that’ll run you about $700+, or you can only stick to 2, which would be $130 (1 would come with the drone), a $20 or dollar car charger and boom, you don’t need anymore batteries. Plus as I’ve said (and experienced drone owners know), you need to discharge batteries at least once every 2-3 weeks, so the more you have, the more of a headache it’ll become. It’s way easier to save money and get the discharging job done through this approach. Here is a link to the charger. Ok so, with every popular drone, there’s tons of cases that come out. Some people elect to go with the big, super protective, water proof cases (nothing wrong with that), but I personally prefer something that is “down the middle”, meaning it’s pretty light to carry, easy to carry, waterproof enough and doesn’t take up much space. The exact same company I purchased a case from when I got my original Mavic Pro released a case for the Mavic Pro 2 (and Zoom) and here it is. That’ll fit the drone itself, the remote, up to 3 batteries, and some minor accessories like extra propellers, but you can insert the drone itself into this case with the propellers on. If you already own this drone, you’ll know the box it comes in, it will not fit the drone inside it with the propellers on. 3) Just 1 extra battery. You already know why it’s just 1 that you need and with a car charger, you’ll be totally fine. The price of the MP 2 battery is currently $130. Here is a link where I found it for $112. Keep in mind that the price may have changed since. 4) A clear film applied on the back wings. When I got my MP 2, I noticed an issue with the body, and by the way, this was confirmed by DJI as being “normal” in that the back wings would rub on the body of the drone when folded and I have to say, this is a feature I did not like, but have to live with if I want to keep using my drone. Now there’s a few around this issue, you can either manually fold the back wings and just LIGHTLY pull them away from the body as they are getting close to the body so they don’t touch and scratch it, or you can elect to go the route of putting on a clear film on the body which will make the back wings slide against it and not scratch the drone when you fold the wings. This is something a guy on a forum suggested I do and said it worked well for him. For me personally, I use the manual, pull option without messing up the wings, but if you don’t want to constantly do that over and over, or you’re worried you’ll forget, the clear film is another option. Because it’s clear, it’s hard to see it after awhile. You can get this in any supermarket and it’s used for foods, but you could also pick it up in a hardware store too. 5) As always, the anker wire. There’s a red wire I use for ALL my drones when I connect the phone to the remote and it’s been extremely useful in that it is designed to bend way easier and provides a stronger connection to the drone, this I’ve tested and know for sure. Here it is. It’s an extremely cheap accessory and far more reliable to use than with the standard wire that comes with your MP 2 (Zoom). You can get it in 3-6 feet lengths, but as always make sure you select the right set up that works with your phone (Android or iPhone). As of now, these 5 accessories are awesome to have with your MP 2 (or Zoom) and I would say at least 3 of them are mandatory as far as I see this. I’m not the type to say you need the usual recommendations such as ND filters or landing gear, those other accessories are all up to you to use or not, but I have you my 5 that I’d strongly recommend. Remember, ALL 5 accessories fit perfectly well, whether it would be on the MP 2 or the MP Zoom. 1. Mavic Pro 2: 95 out of 100 points. 2. Phantom 4 Pro: 95 out of 100 stars. 3. Autel Evo: 90 out of 100 stars.